A simple syrup sugar is made with crystal sugar and water. Usually the ratio is one part sugar and one part water, for a medium, not very sweet syrup. This syrup can be used for all Greek pastries which are made with syrup, such as galaktoboureko, baklavas, kantaifi, ekmek kataifi, revani, samali, Cypriot loukoumades, halvas, etc. We can also use it to make liqueurs and other drinks, such as lemonades or vyssinada, to moisten sponge cakes etc. The ingredients will vary from recipe to recipe, depending if you want it denser or lighter. In some recipes, you can substitute sugar with honey or make it with both with one part sugar and on part honey. See Baklavas, Melomakarona or pastelli. Try other versions such as replacing white or caster sugar with demerara or raw sugar for a richer flavour. You can adjust the ratios and make it more dense and sweeter by adding more sugar or honey or lighter by adding more water. In Greek desserts we usually flavour syrups with a cinnamon stick, whole cloves and thinly cut lemon peel. In some Cypriot recipes we also add some blossom water or rose, which brings the dessert to another dimension. See Daktyla. Fragrant geranium leaves also give a wonderful aroma and flavour syrups and, therefoe, we use them a lot in Greek fruit preserves and jams. You can replace water with fruit juice. Fore example if you are making an orange cake which needs a syrup, adding syrup made with orange juice will give more flavour and colour to the cake. However, here you will not add the same ratio of sugar to water, as the fruit juice contains natural fructose, so it will be much sweeter. The cooking time for a normal syrup is 5 minutes after the syrup starts boiling. 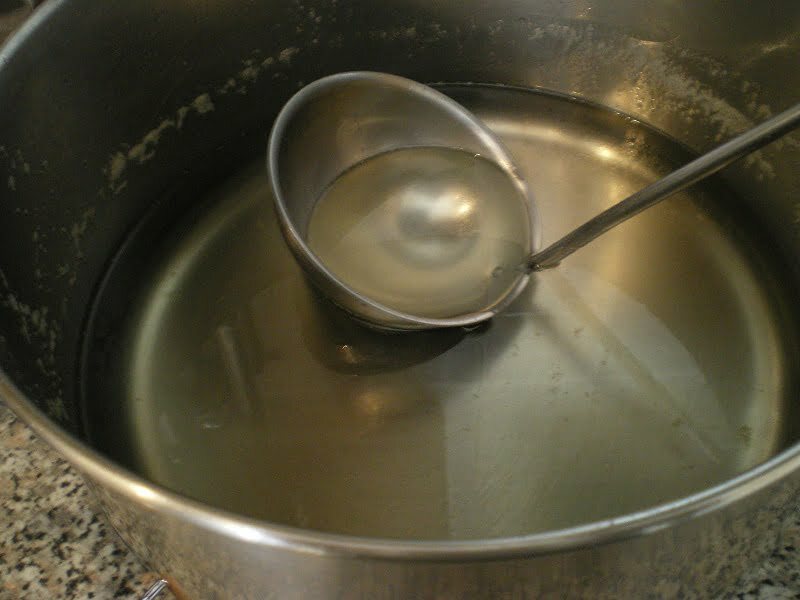 If you boil it more, the water will evaporate and make a thicker syrup. a) It adds flavour to the syrup. b) The lemon helps balance the sweetness of the syrup. b) It prevents the sugar from crystalizing again. Put all ingredients, except the lemon juice, in a pot and stir to dissolve the sugar. Bring to boil and stir occasionally until the sugar dissolves. If you want the syrup more dense, simmer for a few more minutes, up to ten minutes. Add the lemon juice, stir and remove from the heat. If you have leftover syrup you can place it in a clean jar and store it in the refrigerator for a couple of weeks.